The ‘Pearl of the Atlantic’ is calling. Will you answer? Collette breaks down what makes Madeira Island such an amazing place to visit. Madeira Island is a region of Portugal made up of four islands just northwest from the coast of Africa. The area is filled with gorgeous landscapes like beaches and mountains. It’s filled with many natural wonders, such as the natural volcanic pools in the fishing village of Porto Moniz, as well as the Paul da Serra plateau. 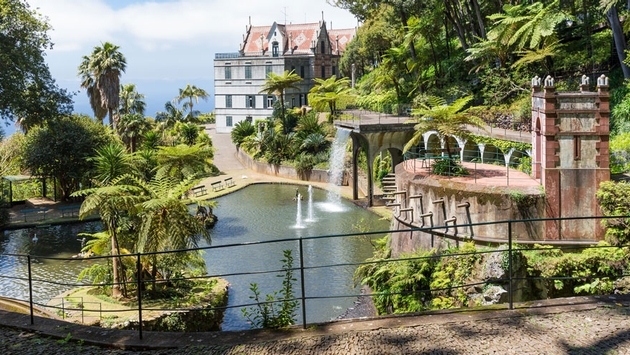 Travelers can also explore The Botanical Garden of Madeira and The Madeira Island Nature Reserve, which “covers about two-thirds of Madeira Island and is the perfect place to take in Madeira’s abundant and diverse flora and fauna,” per the Collette blogger. And of course, you can’t visit Madeira without trying the wonderful wine and delicious foods. Fresh seafood is a key component of Madeiran cuisine, as well as tropical fruit. Enjoy traditional Portugal dishes like bacalhau, which is salted cod meal, and sample some fresh passion fruit, bananas, guava and more. For more information on Collette tours, check out the blog here.